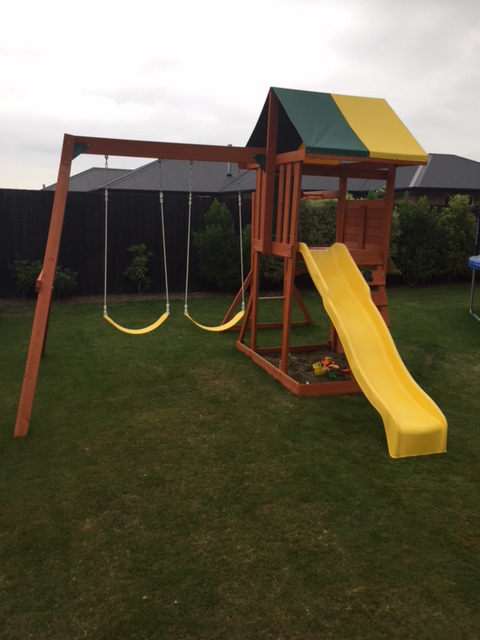 Made from strong cedar wood, the Hazelwood Climbing Frame is a beautifully crafted playset that will not only look stunning in your garden, but it is also packed full of features from front to back that will provide the children with endless hours of entertainment. 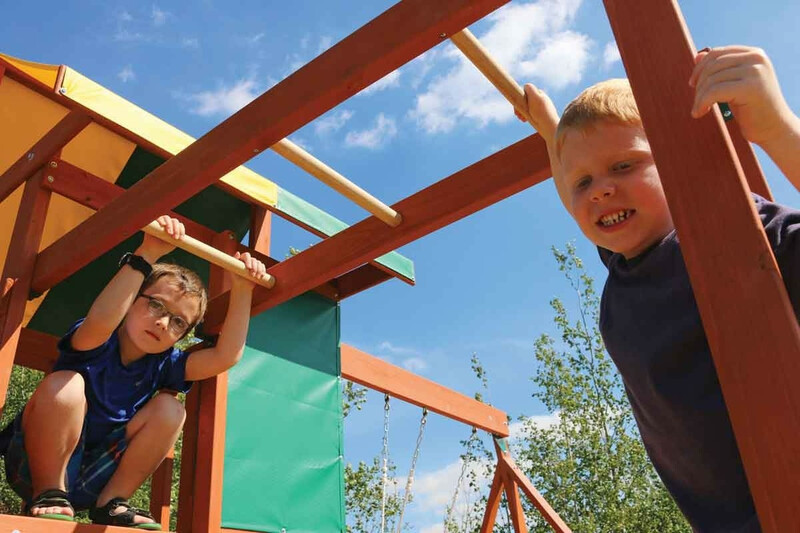 Carefully designed to provide a smaller overall layout footprint whilst maximising the amount of play features, the Hazelwood climbing frame is bound to be a hit with everyone and will help to ensure that your children are the envy of the local kids. 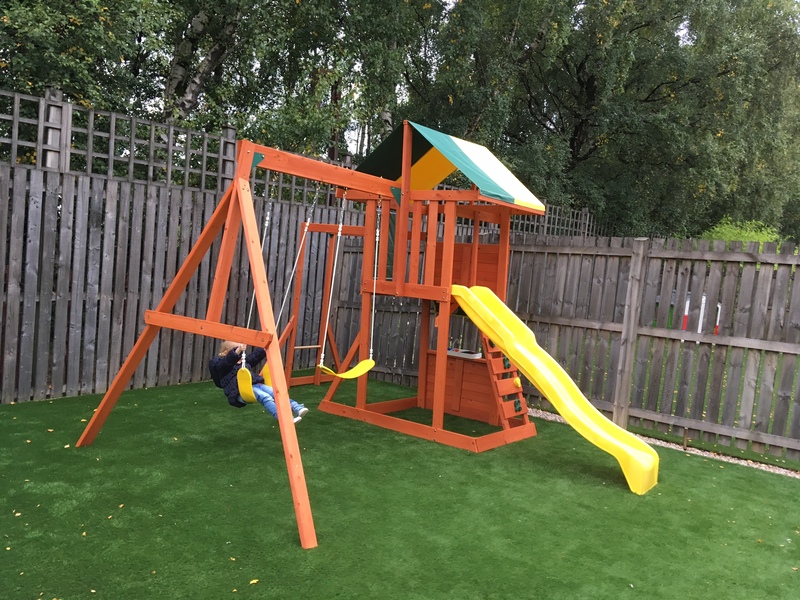 With such great play features as the comfortable belt swings, monkey bars, rockwall ladder, slippery slide, kitchenette, chalkwall and sandpit area, it really is like bringing the fun of the playground into your back garden. 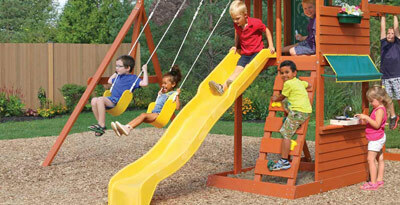 NB: The Selwood Glider & Next Generation Glider swing will not fit this climbing frame. 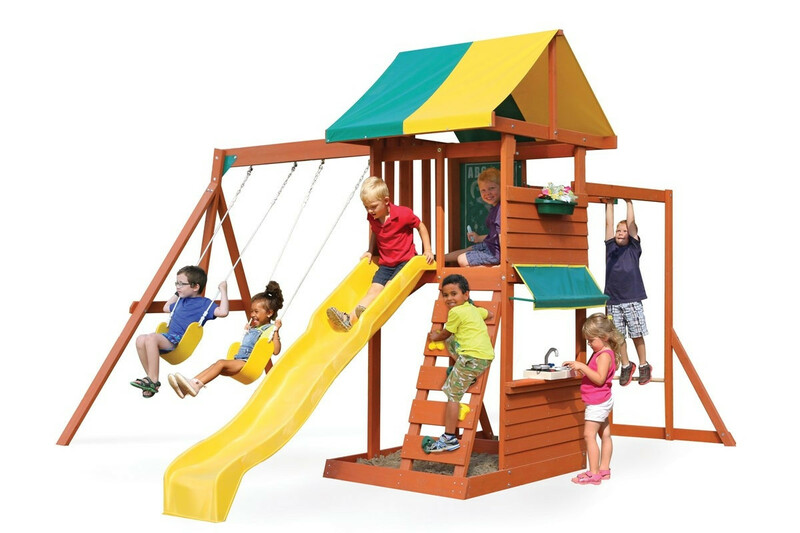 The main fort structure is constructed from a number of strong wooden panels that are connected together to make a strong secure structure which allows all of the other play accessories to connect to. 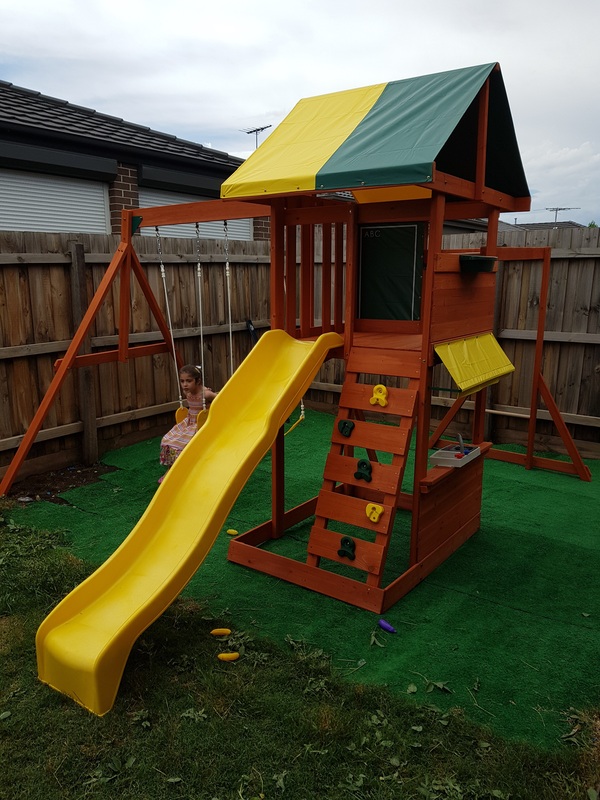 Finished in a beautiful redwood water based stain, the fort will stand commandingly in your garden at an impressive 268cm about the ground, whilst the upper play deck area measures approx. 91cm depth x 91cm width and a 120cm deck height from ground level. 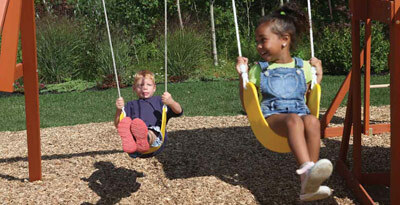 Children love swings, the feeling of zipping through the air with the wind rushing past your face is amazing. Located to the left of the main fort structure is the Hazelwoods swing beam, which is constructed using a number of strong beams and metal brackets. 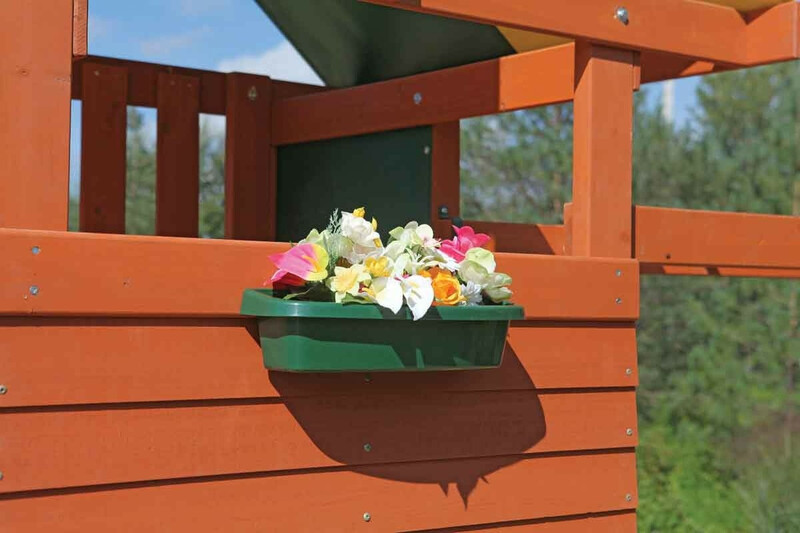 The belt swings themselves are made from a flexible plastic that allows it to mould perfectly to your childs seating position providing a tight, secure, but most importantly comfortable swinging position. 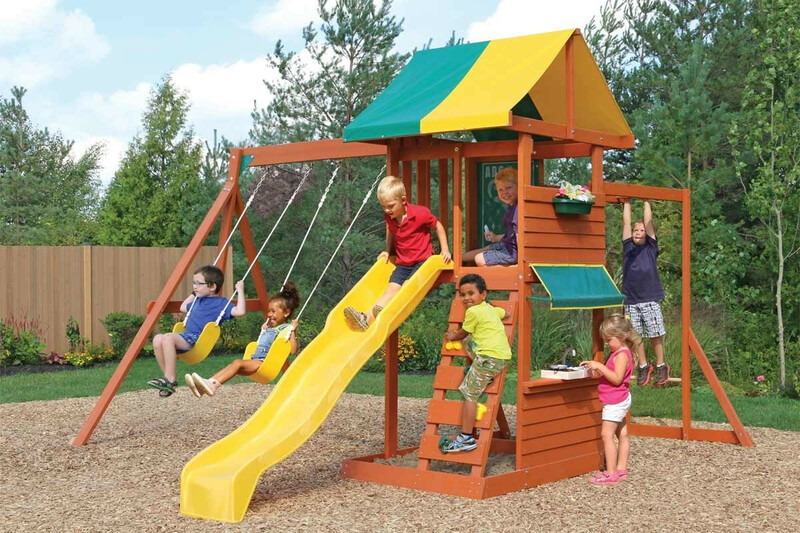 Always a popular feature, the yellow straight wave slide exits from the upper fort 120cm (1.2m) from ground level and provides a speedy, fun and exciting descent down to the ground. 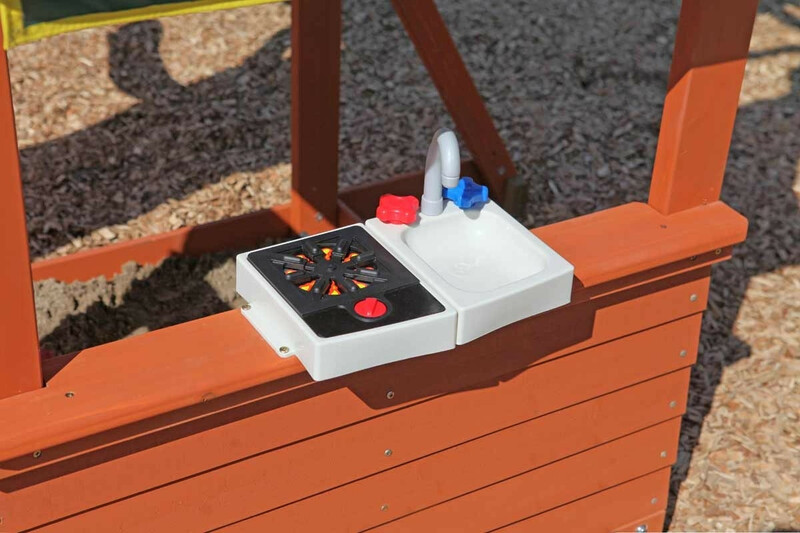 The slide features high raised edges as an added safety feature providing secure hand grips for your child when they are maneuvering into a seating position to start their journey, and the base of the slide features a reduced gradient allowing for a safe and secure exit from the slide. 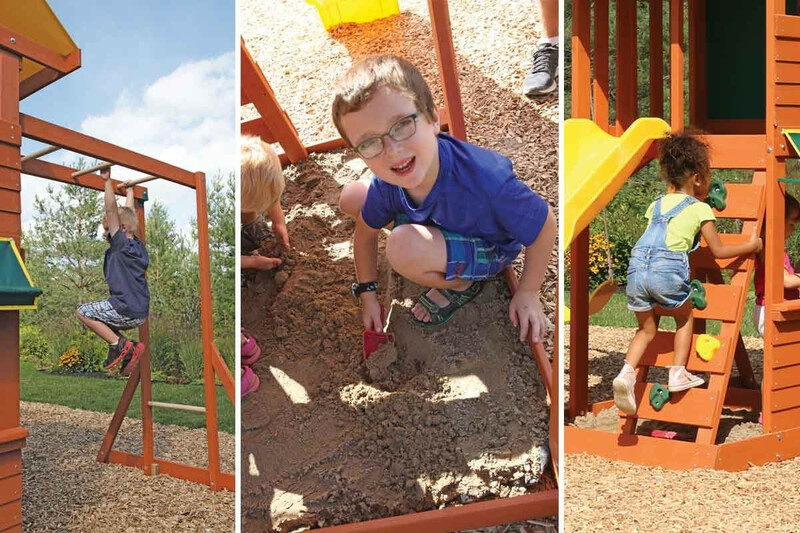 The Hazelwood is bursting full of climbing features including the monkey bars and the rockwall ladder, both of which lead to the upper fort level. 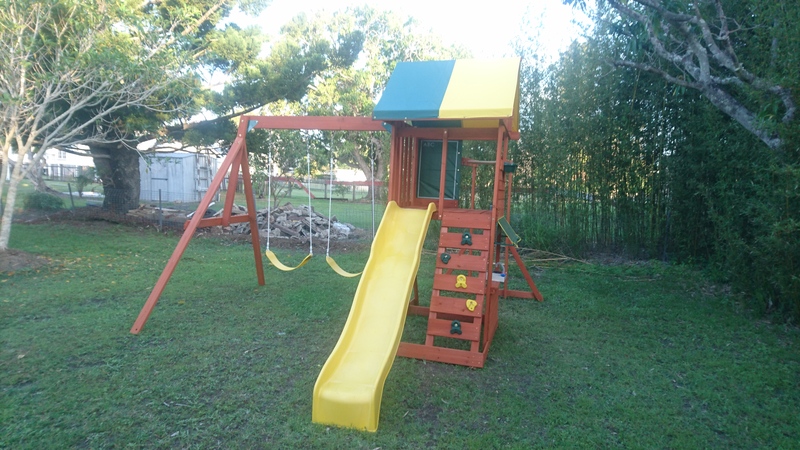 The Monkey bars enter the fort from the back and it features a number of hand rungs which your children will be able to use to swing effortlessly towards or away from the fort. The Rockwall ladder, designed for climbers of all abilities enters the fort from the front and is constructed from a number of wooden slates, which feature brightly coloured green and yellow rockwall mounts. On the lower fort level of the Hazelwood Climbing Frame is a cafe counter area which features a kitchenette set of sink and stove. Whilst the internal area of the lower fort would make the ideal location for a sandpit area. The raised edges of the lower level provides a perfect barrier to ensure that the sand is kept within the space provided. 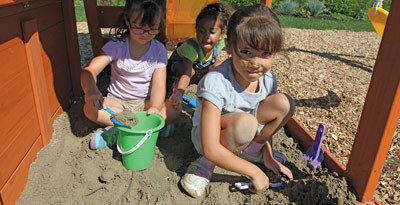 We highly recommend placing a weed suppressant membrane down before adding any bags of play sand. 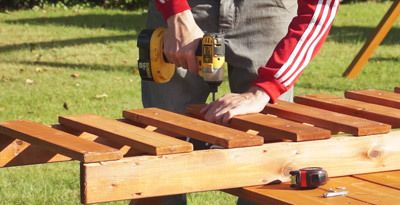 The Hazelwood climbing frame comes with all required fixings, pre drilled wood and a fully illustrated instruction manual. 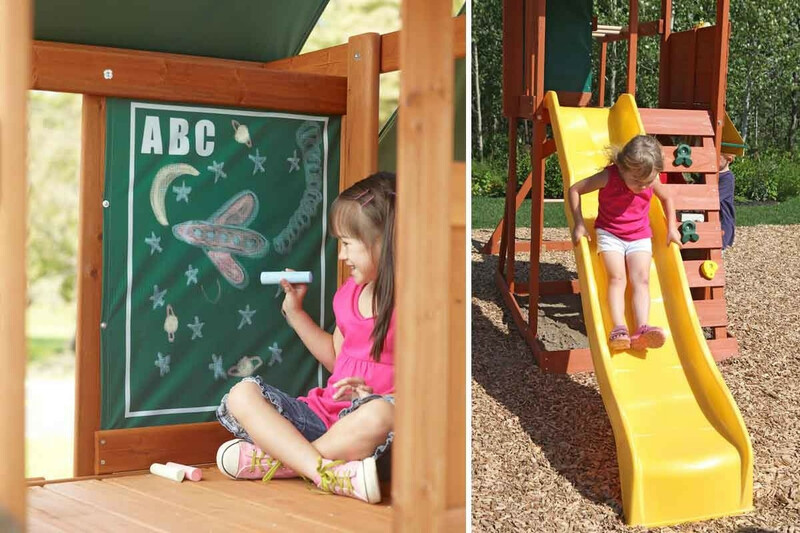 This climbing frame is designed for children aged between 3 and 10 years of age and is tested (EN-71 & ASTM) to meet requirements for private residential use – this set is not suitable for commercial use. 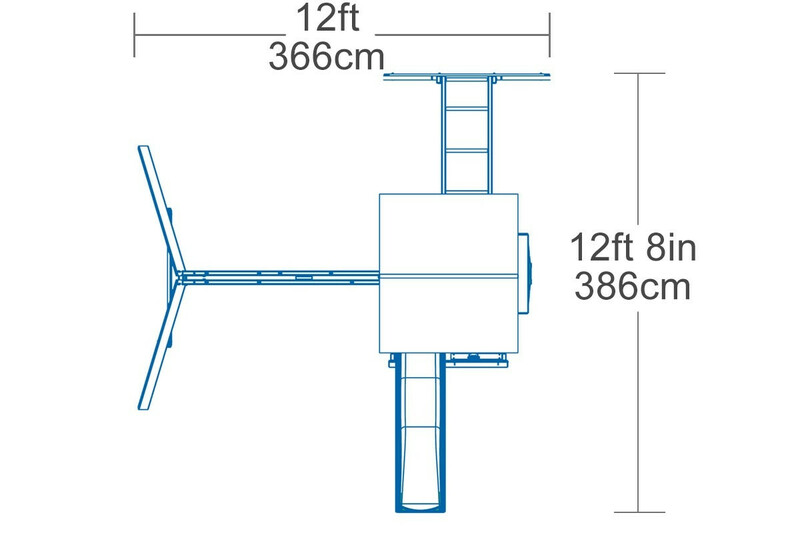 Imperial 12' 0" 12' 8" 8' 1"
All orders dispatched to mainland locations are send with our courier on a 48hr service. Please ensure your order is placed before 3pm to ensure your order can be processed for 48hr delivery. Orders to offshore locations only cost from £9.99 postage and are send with our offshore services. These are normally delivered within 5-7 working days and will require a signature upon arrival. Please notify us of a reliable email and mobile number when placing your order so you will be notified of your delivery. International orders will be sent using our International delivery service. Orders will normally arrive within 5-10 working days and will require a signature upon arrival. Please notify us of a reliable email and mobile number when placing your order so you will be notified of your delivery. Note: Orders from outside the EU will not be subject to 20% VAT. Nous avons acheté l'aire de jeux Hazelwood pour nos 3 enfants. Quel superbe achat. On ne pourrait pas en être plus content. Ca a été facile de le monter avec 2 personnes et ça nous a pris à peu près 7 heures (en comptent les heures de pluie). Les cartons ne sont pas trop gros, les pièces sont clairement identifiées et les instructions sont faciles à suivre. Matériel très robuste et de grande qualité. Même le bois sent bon ! Le service de chat en ligne avec le service client est excellent pour nous renseigner de l'achat jusqu'à la livraison. J'ai déjà recommandé Selwood à beaucoup d'amis et famille. Mes enfants n'auraient pas pu rêver de mieux, Noël est arrivé un peu en avance cette année. Merci encore Selwood, vous êtes incroyable ! L'aire de jeux Hazelwood est superbe! Les instructions sont claires et faciles à suivre, les pièces sont bien indiquées et de très bonne qualité. Mon mari l'a assemblé en 6 heures et les enfants ont déjà passé plusieurs heure à jouer avec. Je peux prévoir des années de fun avec cette superbe aire de jeux. Très facile à assembler, j'ai réussi à le monter avec mon fils de 13 ans en moins d'une journée. J'ai beaucoup aimé les instructions faciles à suivre. Très bonne qualité du bois. Je suis très content de mon achat. Super service client, livraison très rapide et très bon prix ! Je le recommande chaudement, merci Selwood ! Je suis très satisfaite de tout le processus d'achat de ce produit. Le service client a été fantastique. Mes enfants vont être super contents. 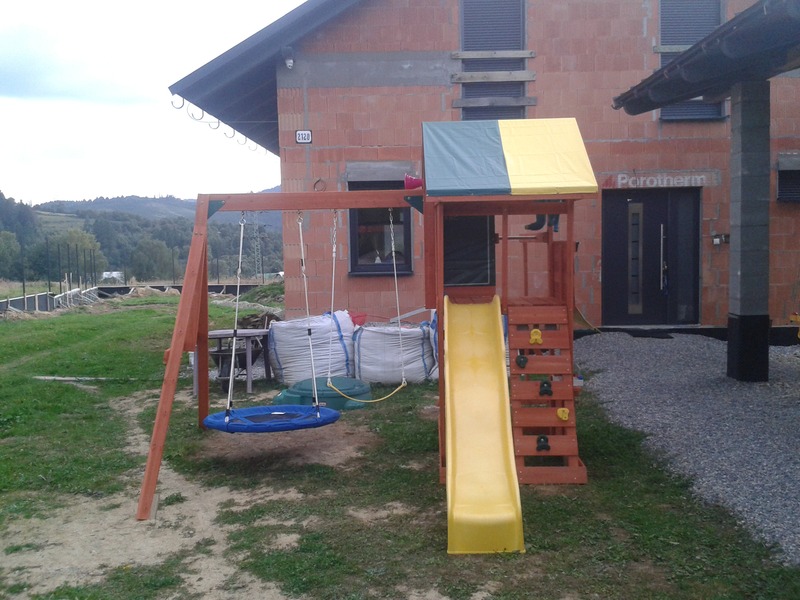 My daughter was absolutely delighted to receive the Hazelwood climbing frame for her birthday! She will have endless hours of fun and we will create so many memories as a family! 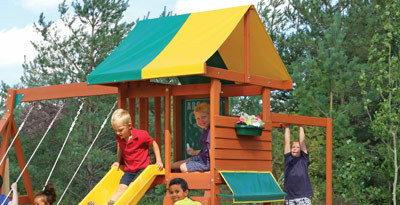 The climbing frame is sturdy enough for dad to even have a turn and play together as a family. We purchased the Hazelwood as something our daughter can grow into, she can't wait to complete the monkey bars and swing higher then mum! Great service communication when purchasing and will be recommending to family and friends. Have already received many compliments. Pre-ordered and was kept well up to date on pending delivery date with emails. Delivery on the day was swift and placed in garage as requested. Most pieces were clearly marked however one or two numbers on the wood were offset or faded. Took the time to organise all bits to ensure we knew everything was easy to find before starting the build. Build took two people 7hrs 14mins and we were lucky the rain stayed off. Instructions were fairly easy to follow. Frame is quite solid and steady. Defintely a great price for a frame this size with so many fun features. 2.5 year old daughter is very happy with the outcome and will have several years of fun playing on this frame with her friends. 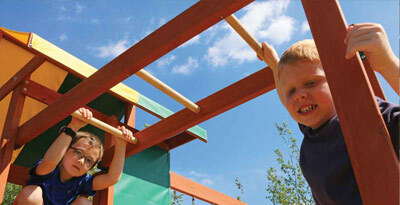 We are so pleased we purchased the Hazelwood Climbing Frame, our 2.5yr old lives it! It came very neatly packed in one large box. Took 4 guys about 7.5hrs to construct but the finished result was well worth it. 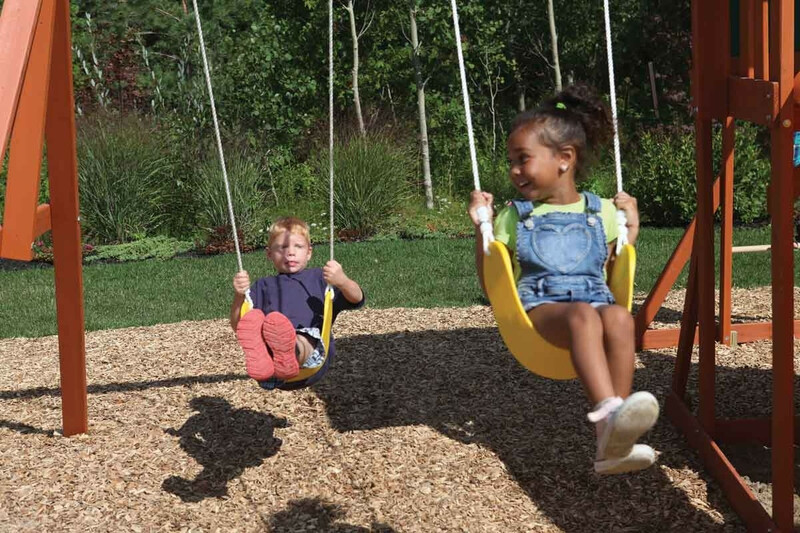 My only negative is that I wish we had the option to change one of the swings to a baby swing as we have a 10month old also. Fantastic product and I’d highly recommend it to others. Purchased the playground for our 2 year old daughter. Found it fairly easy to put together and the instructions were easy to follow. Finished product looks great and the smile and excitement on our daughters face on Christmas morning was well worth it. 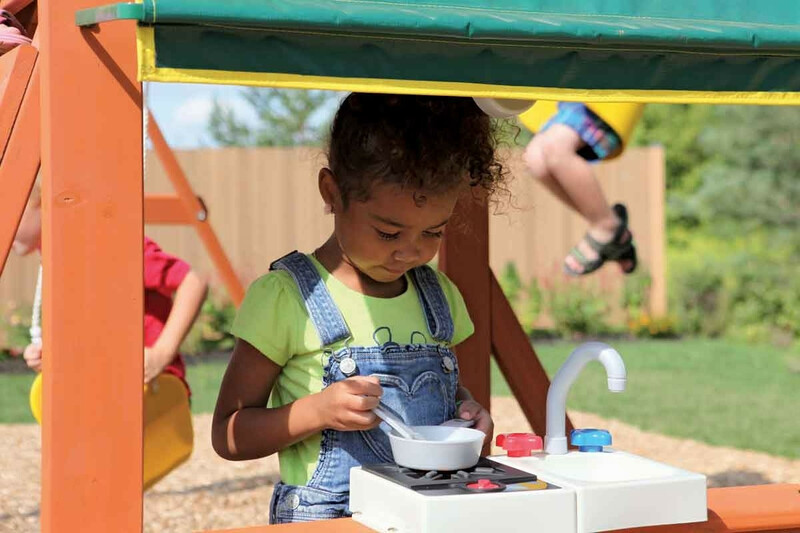 We are looking forward to the many hours of play and joy on the playground that she will have.